Believe it or not, telemarketing services actually work. I know, shocking! While pop culture may indicate otherwise, telemarketing is still an excellent marketing technique when used properly. If you are a small business owner trying to drive new customers into your business, you have come to the right place. Here are the top telemarketing services of 2016. These telemarketers will not disappoint. Telemarketing.com has topped the list of best telemarketing companies for a long time now, and with good reason! They offer B2B telemarketing as well as B2C telemarketing services. Even better, they offer specialized small business telemarketing services tailored specifically to your needs. This is a a rare find that is offered by very few, and Telemarketing.com happens to be one. If you are a small business owner who values services tailored to your operations size, Telemarketing.com is the telemarketing solution for you. SalesFish is another company you are going to want to consider for your business’s sales services, no matter whether you are selling vacations to luxury retreats or making B2B sales. This telemarketing company offers “high touch sales calls.” These types of sales calls utilize a deeper understanding of telesales and marketing, as well as your target demographic, in order to produce the best results. The company promises to act as an extension of your brand in order to actively engage with potential customers and help you achieve sales goals easily. If you want a results-oriented telemarketing provider, consider SalesFish. 3D2B is one of the top lead generation companies out there, and that is why they make the cut for one of the best telemarketing companies of 2016. 3D2B will do the cold calling for you, so you can spend that time working on other areas of the business. Their trained professionals have a long track record of proven results. And 3D2B makes sure that their employees know your business and services just as well as you with an intensive training process. That means they are better able to answer all the necessary questions to turn a cold call into a qualified sales lead. If you want your telemarketing service to know your business inside and out, consider 3D2B. OPK Telemarketing is another top telemarketing solution of 2017, especially for those relocating business within the coming year. This company provides a variety of services from lead generation to appointment setting. And better yet, they have serviced companies large and small, from Fortune 500s to small, family-owned businesses. What is so great about OPK is that getting a price quote is as easy as visiting their website. There they have a useful chat feature to speak to a representative regarding pricing and to ask any questions you may have. If you want to start telemarketing for business right away, consider OPK Telemarketing. If your business operates outside of the United States, Virtual Sales Ltd. is the telemarketing provider for you. This company services the US, the UK and Europe. Virtually anywhere you want to start generating leads and making sales, VSL can make it happen. In addition to their international capabilities, they also offer email marketing, database development and a whole slew of additional services. You can even take advantage of the many marketing services of VSL without having to lock yourself in to a long-term contract. If you need to make calls outside of the US, Virtual Sales Ltd. is the top telemarketer for you. Our final telemarketing company to make the list is MarketOne. 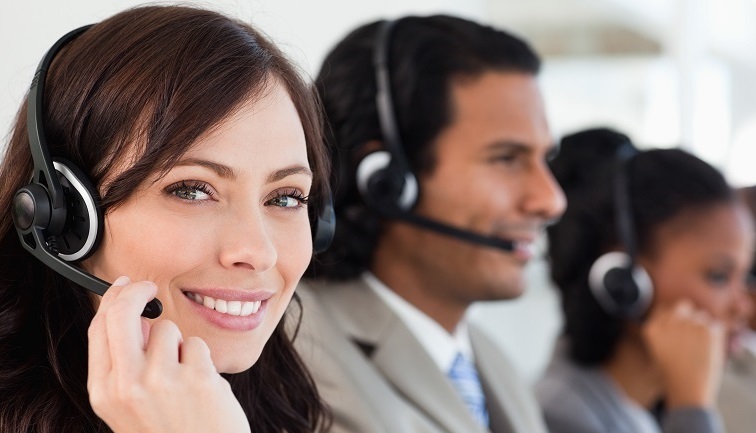 This telemarketing service offers teleprospecting, telequalification, appointment setting and even event recruitment. With all the services MarketOne provides, they simply cannot be ignored. They even offer livechat services for your website, which is a method frequently used by online stock brokers that will help you tap into prospective customers online. If you want a telemarketing service that does more than just make phone calls, MarketOne is an incredible solution to almost all of your marketing needs. No matter what your needs, the telemarketing services listed above will take care of it for you. These telemarketing companies are proven to be the top in their field. Consider your business needs and budget, then you can decide on one and see for yourself why these companies make the list for the best telemarketing solutions in the industry. If you have used these companies in the past, let us know your results in the comments below.